Somewhere along the way I lost track of how many indigo workshops I've conducted at the Charleston Museum. Today I counted and the one we just held on Saturday, October 4 was number six! I feel in some ways as though I've never NOT been conducting indigo workshops, and at the same time, as though I'll never learn all there is to know about this magical blue dyestuff. The weather on Saturday was one of those pristine autumn days that make you fall in love with Charleston all over again. It was cool and dry with a light breeze that kept any of our famous Lowcountry mosquitoes away, so we set up just outside the Museum's courtyard breezeway and began prepping the vats for dyeing. Many of our attendees this time had dyed before or were involved with yarn or fabric on a regular basis. It always pleases me to find a varied group of students with different motivations and perspectives. Everyone who comes to one of my workshops (or knitting classes!) brings so much for me to learn as well. I love my job! 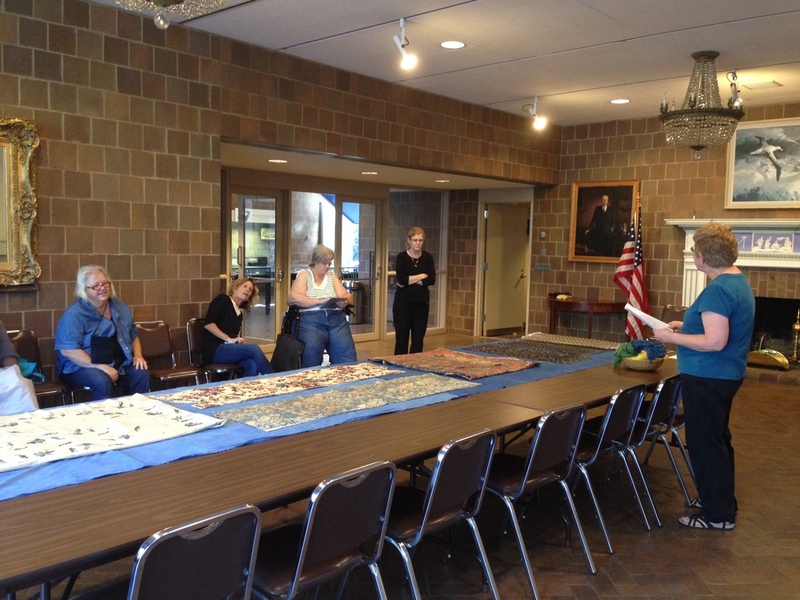 Jan Heister, Curator of Textiles at the Museum showed off items from the collection and gave an entertaining look at the history of indigo in both South Carolina and beyond. Then it was time to dye! 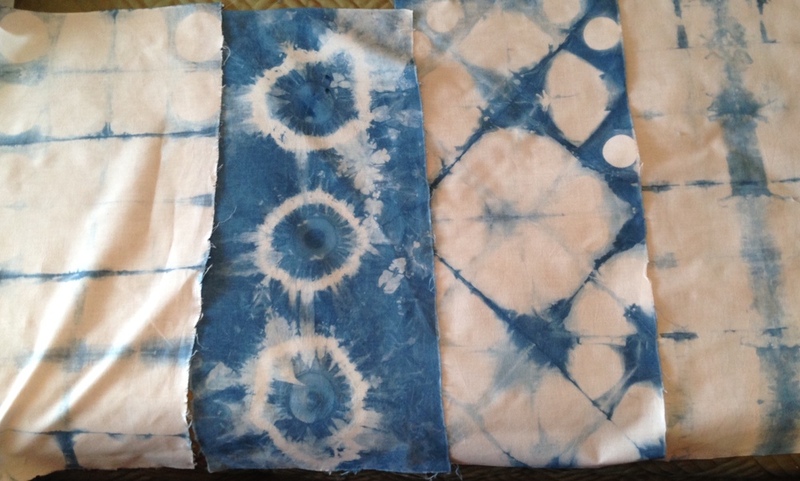 This time we focused on fabric--a canvas bag and a cotton scarf were our playthings and we got some gorgeous results. Each student was encouraged to bring an item from home as well and my favorite was a purple sweatshirt that overdyed to a magnificent blue. Yes, it was a beautiful day and, as usual, I can't wait to do it all again!